The EPub book format is still not supported on probably the most popular eReader out there, the Amazon Kindle. There is, however, a way to convert your collection of books in the EPub format, maybe from Google Books, eBooks.com , AbeBooks, or another online collection, so that you can read those EPub files on your Kindle. Once converted they will appear on your Amazon Kindle book menu and can be read just like any other Kindle ebook. so yes, you can read an ePub book on your Amazon Kindle, just not in EPub format. You must convert it first. The Kindle definitely has the clearest screen and is currently the closest to actually reading a book. If you haven’t already got one, it’s worth getting a Kindle and converting the EPUB book files. Can the Kindle read EPubs? Well, technically no, you have to convert the EPub file to a format that Kindle does recognize (MOBI) first. There’s a few software packages out there to do this, but I’ve found Calibre to be the simplest way. Calibre is an ebook management software program. Install it on your computer where you want to connect your Kindle. 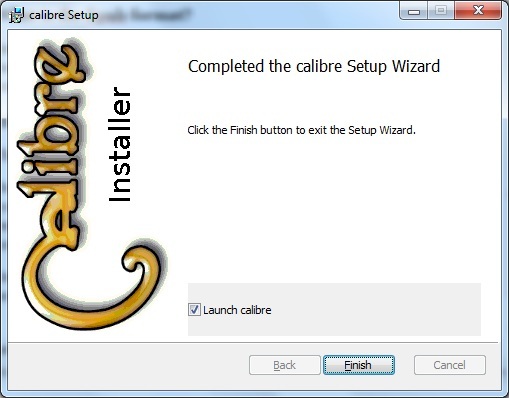 Calibre works with Windows, Mac, and Linux. I ran in on Windows 7 without any problems. It will automatically recognize your Kindle when you plug it in and will handle the necessary conversion when you add a EPub to your Kindle. Next, click Add Books to add your EPub books to the Calibre management system. Browse to the folder where the books are located and select the books you want, then add them. Yes, it really is that easy and now you can read EPub books on your Kindle. These books will be backed up as the Kindle is backed up. Use the box below to search for other eBooks to read on your Kindle. Type the title, author, or subject in the search box below or click any book and go from there. Don’t exclude EPub’s just because they aren’t a Kindle standard. Read EPub books on your Kindle as you would any other format. Enjoy reading! If you have been searching for eBook converters you may have come across HamsterSoft which has a product called Hamster Free eBook Converter (HFEC). This product illegally uses the Calibre conversion engine as part of their product and should not be downloaded or used! EPub is a free and open e-book standard. Here’s an interesting fact you may not know; EPub files are very much like web pages and can actually be edited with a web page editor. Here’s the full details from Wikipedia if you’re interested. If you don’t have an existing EPub book collection is there any reason to think about EPubs? There might be. As a free open source format it will be used by many independent publishers that won’t be on the Amazon site. Google Books has quite a few available EPUB books. Depending on where you source your books you may find cheaper or free books in the EPub format that you want to add to your collection. Also, if you happen to be using different eReaders throughout your home or business then EPub is a publishing standard. 144 Comments on "How to Read EPub Books on your Kindle"
How do you get the ePub from the libraries Overdrive to your computer? what is .acsm? it does not seem to be supported. For two yeads i used tuebl on my kindle fire. Now it died. I deleted and tried to redownload but no luck. Can you assist? Ellen I’m afraid I’m not much of a Mac person but an Internet search should bring something up. I am getting my new novel ready as an ebook to sell direct from my website. Can I convert it to a Kindle format myself and offer either the epub or Kindle version? You sure can Caroline, I’d offer it in EPub, MOBI, and PDF. Good luck with sales! I recommend to try also kitpdf.com , a free software program to convert pdf files into epub or mobi formats compatible with your eReader. Give it a shot, it’s a good alternative to other converters available out there. Thanks! I read books on my kindle. I tried to download this on my kindle and it says downloading but nothing happens. Please help, what am I doing wrong? Belindy maybe I’m reading this wrong, but this application is downloaded onto a computer, not directly onto the kindle. Maybe that’s the problem? Thank you I downloaded this on to my computer but I can’t get the books transferred to the kindle. the icon doesn’t come up the way it is indicated here. I am so delighted I just have to thank you. My eyes are not good and I had just found site offering free e-books in French but alas! in ePub format. You have transformed that alas into redoubled joy and your instructions were admirably clear. Thank you again and again. Glad I was able to help Franca! I have found that the epub version converts to other formats better. Sometimes a PDF will not look right in MOBI. Hi, thanks so much for your instructions. I downloaded Calibre, converted my epub books to mobi then connected my kindle fire. However Calibre is not connecting to my device. I have closed the programme, disconnected the Kindle, but nothing works. Any advice? Thanks so much. Not sure what’s going on there Carole, you could always try the forum at Calibre – or maybe someone else here has a suggestion? Works perfectly! And it’s free! Very nice software. Thanks Calibre!! Does anyone know if this works with books from the i tunes store. i would like to transfer my books over to the new kindal i have just acquired. Don’t believe it does, and all iTunes books are DRM enabled. thanks for this software. Im new to kindle world and this software makes my life easier. Thanks! Glad it helped. Anything that makes our lives easier is a good thing! Can you use this to download epub books from the library? Sure can Stephanie – any epub formatted file. Here is a free ebook tool for you. You can easily convert your ebook from epub to pdf,epub to mobi, epub to kindle, etc. It provides you with the best mobi to epub converting experience. I usually donate for freeware once I have used the particular program or app for long enough to make sure it will be useful to me but I must say that for calibre, it was a different affair. I downloaded the program, installed it and followed on with the demo video. Half way through I had already converted a test file and transferred it to my Kindle Paperwhite. I was so convinced right there and then that the very next thing I did was donate. Thank you Kovid for a job well done. I have been on the fence for many years about whether to purchase a Kindle for this exact reason that Amazon made it so proprietary. Last night while poking around I ran across this site and I’m thrilled to know there is now a way to simply convert the ePub books. I can now move ahead to get my Kindle knowing it will be fully useful to me. I very much appreciate you technicalguy for creating and maintaining this site. While there are many of us out here who can perform these functions with instructions we aren’t necessarily the types that have the know how to understand this geeky stuff. It is a gift you have and thanks for sharing it with the rest of us. I love these types of forums and additionally what I learn from everyone who shares their ideas as well. Thanks much to everyone participating and now I’m off to buy my Kindle. Any comments on suggestions for which model is the best bang for your buck? Thanks for the kind words PTH, let’s see what other people think but unless you already have another tablet I’d lean towards the Fire. I tried doing this with Vista and got the zoom down loader loaded but nothing comes up after that. I’m not getting the option to download Caliber anywhere. Any suggestions? Not sure how you got zoom – click any Calibre link in the page and it should take you directly to Calibre for the download. If you have your books in PDF format, you can easily convert them with this online tool: http://kitpdf.com/. It doesn’t require downloading and it’s fast and efficient. Best of luck! Thanks Andy, looks like a good tool. Unfortunately this didn’t work for me. Allmy books were purchased through Kobo yhat I tried to convert and they were all DRMed. Therefore I couldn’t get them to convert 🙁 If anyone has another way to convert epub to Kindle, please help. Thank you. Calibre is not recognizing my Kindle Fire HD. I added the books, I plugged in the Kindle but no icon shows up to put the books on my kindle….. HELLP!!! And so I used the Email feature which sent the files but when I go to open them on mt Kindle Fire HD it says “This type of file cannot be opened on your device”. WTH??? Michelle, Calibre has some good documentation and an active forum you can tap into. I’ve downloaded Calibre 0.9.9 but when I want to transfer my epub format into mobi by following the steps, it says “failed to convert”. Any idea why? Can you help? You need to tell people up front that most epub you have purchased from amazon will not convert! due to DRM protection. A total waste of time to download this useless application. i did everything but i cant seem to find the book in my kindle fire. 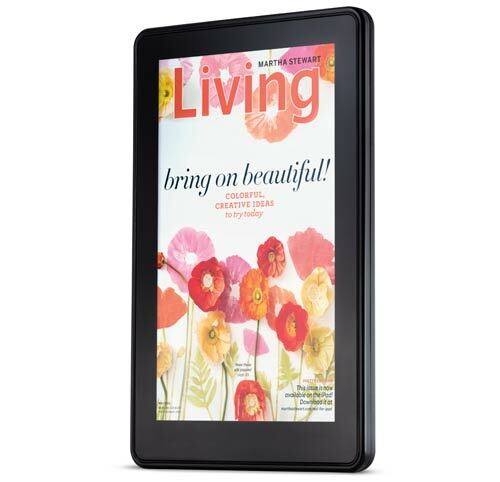 Do you know where i can find it on my kindle fire hd? Thanks so much! Thanks. Made my potentially unwanted gift of a Kindle very useful and wanted. Works so easily. I found Calibre a bit hard to use, and if you only want to convert one file it’s a bit of an overhead to download and install Calibre. Thanks Edward, there’s always more than one way to skin a cat. Hi, just bought a kindle 5 from amazon. Wondering if this program works on a kindle 5? Anyone tried? I think you can try this tool. , no matter they are with drm protections or drm free. I never comment on these things, but THANK YOU SO MUCH!! YOU JUST MADE MY ENTIRE YEAR!! I was so bummed about not being able to read EPUBs on my kindle… THANK YOU!! I agree! THANK YOU. This is fantastic. Have been able to convert epub files and load them onto my Kindle! Exactly what I needed! Thank you so much for this post. I had someone give me an Epub book and didn’t have a clue how/if I could read it on my Kindle. Calibre worked perfectly. Glad to hear it worked out well for you Kimberly! Thank you so much for this post. I had several epub books that I purchased pre-Kindle and was going crazy trying to figure out how to get them on there. This was really easy. I followed the directions but got messages that all of the books I was trying to move over to my Kindle Fire were DRM protected. Any way I can read Nook books on my Kindle Fire? KN – Calibre does not look at or strip off DRM. Make sure it’s legally okay to do what you would like to do, and if it is then seek out software that will remove DRM. I downloaded Calibre, converted a few books, and connected my Kindle Touch. It recognized the Kindle, so I clicked send to device. It says it sent, but I can’t find the book on my Kindle. What am I doing wrong? I find conversion fairly simple: Kindle ePub, but I really wonder why Amazon didn’t implement it itself – or just went with the ePub-Format as the standard for the kindle. Amazon is using their proprietary format because if they were using an open one you would be able to read books you’ve bought elsewhere (= not Amazon’s shop) on your Kindle. And they definitely don’t want to grant you that freedom: it’s calle “vendor lock-in”. Sorry, but I always create Epub using this Epub creator, just simply a click would save your much work on calibre. There’s certainly other options out there, however Calibre is a free app whereas Epub Creator is $39.95. I can’t speak for how effective it is. Another option is Atlantis Word Processor. EPUB creation could not be easier in my opinion. Is this legal? I read somewhere that converting was illegal. Kaye you must always be aware of the rights you have to any book, epub or otherwise, and the laws are different in each country. You should not be stripping out DRM (digital rights management) but many epub books are free and available to use as you wish. So does this strip the DRM? No, Calibre just does conversion. I have installed calibre, but it doesn’t recognize the Kindle!! Help!! Dude, just right click on the book you’ve converted, hit “Open Containing Folder” and then copy paste it onto the documents folder on your kindle. So I bought a Kindle for Christmas for my 12-year-old daughter, who had started to devour teen chick lit, with intent to borrow it to check out my epub file. I was gobsmacked when I discovered that the Kindle could not read the file! But with the help of Calibre and your instructions I was able to do the job. I have now put a link to this post on the website which I use to market my book. Thank-you Ariadne – I’m so glad I was able to help out. Hi, I’m new on this forum and I want to say hello. I read a lot of time but today I want to say this is very good site. Brilliant – thanks. Just created a doc in InDesign, exported to epub, then converted with Calibre – great result. Great program, did what it said on the tin! Thanks so much! I found this article very useful as I was thinking to read my iTunes ebooks with Kindle device. Thanks a lot! How do you do this for Kindle for PC? @JustRosy: There’s a few people who have asked this. I’m preparing an article on this. Stay tuned! I have just downloaded Calibre and tried to ‘Fetch news’ to be transferred direct to my Kindle Touch but it comes up as ‘Failed’. Does anyone know what I may have done wrong? Perhaps in the set up phase? Do I have to put Calibre on my ‘Approved Personal Document E-mail List’? Oh My Goodness, I have been looking for a way to read Fast Women by Jennifer Crusie for months and couldn’t figure anything out. Just a few minutes ago, I followed these instructions and I am now very happily reading one of my favorite novels. Thank you very much for the help!!! OK – have been using Calibre for all my downloading without a problem using epub. I just did a new book and lo and behold, in the middle of a page, it gives a page number and the book name so that it interrupts my reading. This happens on almost every page. I deleted the book from my Kindle and started from scratch and it still happened. Any suggestions? Thanks. I have had that a couple times too Terri, it’s something to do with the original formatting of the book. I’m not aware of a solution – anyone else know of this? Thanks, it worked just like you said! I have just purchased a Pandigital which supports the Amazon Kindle library. I have tried to convert my epub books to mobi, works but my Pandigital still cannot read them. I have tried every way recommended in this forum. Has anyone succeeded with Pandigital? Helen, I’ve never worked with Pandigital but hopefully someone else here can help you. I have been using my Pandigital and Calibre for a long time now. Through trial and error I have found what works for me. First, I always convert into mobi format with Calibre. Then transfer them to the Pandigital. THEN, before disconnecting the tablet from your pc, go into the Kindle folder and transfer all the individual files from their individual subdirectories and place them into the main Kindle folder. Calibre separates each author into it’s own folder, and the Pandigital doesn;t like extra sub-directories in the Kindle folder. If you have DL’d your own cover, make sure you have internet access on the Pandigital or it will not update to the latest cover. Thanks for the extra info on Pandigital Shawn! Just wanted to say thanks info on this page was really handy. Had gotten a lot of books in epub not realizing that it wasn’t supported by kindle, and was lucky to stumble upon this before repurchasing all those books so thanks for the help! It is now possible to listen to .flac files on your Ipod! You just have to convert them to .mp3, .aac, .wav, or .aiff first. -10pts to the author for managing to contradict himself in the very first sentence of the article. And how did you determine that, “The Kindle definitely has the clearest screen and is currently the closest to actually reading a book”? I certainly haven’t noticed any significant difference between a Kindle, my 2.5 year old Sony, and a friend’s B&N Nook. But then again the Sony and the Nook ACTUALLY support epub. Awesome. Works perfect. Thank you for your help! Wow, an amazing easy to use library and working brillanty to convert your files so they can be easily read on Kindly. Really appreciate your assistance, and have now also an easy to maintain libray on pc for future reference! Thank you Calibre for your e-book management! Does this apply to epub books borrowed from the library? Before converting,you should bypass epub drm first if your epubs are drm protected. Epubor epub drm removal can help you,enjoy. I put this up, @epuborss@gmail.com, with the caveat that everyone should ensure they have the rights to bypass DRM before they use a product such as this. I currently don’t have access to the Kindle Fire – however maybe on of the other readers will have an answer here, anyone? Calibre also has a support forum you can try. My new Kindle Fire reads the .mobi format like a champ. I did have to select “Device” instead of “Cloud” when I went to the Book page. The new verison has a option for the kindle fire during setup try redownloading the program probably had to upgrade the Calibre version because Kindle Fire is new. Hope it helps. have you tried looking in the “docs” folder for your xfers? I’ve found (with the Kindle Fire) that if you convert in Calibre and then right click, choose “send to device”, then “send specific format to”, then “main memory” it lets you send your mobi files to the fire and they show up on there. Make sure to edit the metadata and add covers, change authors etc. so they show up nicely. Good luck! When you send books to the fire through Calibre, they end up in “docs” instead of “books”. You should find them there. Do I need a usb-micro to usb cable to do this or can you use the “cloud”? I can’t seem to get anything on my kindle fire from the cloud…looks like they may have gone the apple route of controlling how you manage your content to make sure you exclusively go through their store. I would suspect you would need the usb cable to connect to Calibre, however I don’t see the Kindle Fire yet on Calbre’s website. If you try it please let us know how it goes. i can convert a pdf file using calibre to an ebub file but the problem is that when i send it to the device it still turns up as a pdf file. on the computer i can chose to view pdf or epub but on my kindle it only sends the pdf. do you know how i can chose the epub version to send? if so then thankyou! files that are already epub to begin with work fine though. Maia – when you send to device, try selecting that little drop down arrow and select “send specific format to”. Does that help? God help me, I put aside a whole afonteron to figure this out. Brilliant, I bought a kindle but wanted to transfer epubs. Your site and links worked beautifully, FIRST time. Thanks I’ll be passing this on. now I’m one happy kindle owner who’s going to enjoy my books. A big THANK YOU for the article. Glad I was able to make your day Peg! I’ve removed the DRM, added the books to Calibre, and tried to convert to either MOBI or PDF to read on my Kindle, and I’m still getting the message that they are protected. I converted the books from my Sony to read on my IPad, and it worked OK. What am I doing wrong? @bear_wolfe_spot: I don’t know what that would be. Here’s the Calibre help page (http://calibre-ebook.com/help) and the Calibre user forum (http://www.mobileread.com/forums/forumdisplay.php?f=166). You may want to try posting your question there. Most Authors start with an EPUB then convert this over to the Kindle MOBI format. HTML + CSS will in 99% of conversions be disapointing spoiled; I’m not sure why this should have to be? I too have noticed some conversion errors – sometimes the same passage of text is repeated. It seems to be related to special or unusual characters but I have yet to find the right cause. Its a pitty that the Kindle format does not transfer into EPUB, I got a Generic brand due to I did not want to be locked into Amazon, but I would like to access some of their books as some are cheeper on Amazn and some are cheeper on other sites that have the Epub format. It would give the consumer the opportunity for a good deals across the board, I have been on Amazon and cross priced it on another site and there can be a big difference, also in reverse. Would be excellent if we could use all sites. You know, Sylvia, Calibre will convert both ways. It can also convert the Kindle MOBI format to ePub so that it can be read on any device. The software is free, give it a try! Converting from Kindle to ePub can be an issue, for sure. However converting from ePub to Kindle (what this article is about) is quite easy and many ePub books do not contain DRM. This is so profoundly retarded, I’m speechless . You batch ? If the files need to be converted, why would you suggest the kindle can show epubs ? I think you misunderstand the title. I don’t suggest the Kindle can show epubs, this is a way to read an epub you have – on a Kindle. I wouldn’t worry about wty’s response. It’s obvious that he/she can’t read. The implication of this is that the Kindle will read epub files but you have to do something to enable this behaviour. Perhaps change a setting on the Kindle. “Amazon’s Kindle doesn’t read epubs. You can convert an epub to a file the Kindle will read though. I fully agree with Simon’s comment. I started to read only because you suggested that Kindle can be made to read epubs. Only after reading more did I understand that you do not have the information that your title suggests and instead provide the trivial information on how to use Calibre. I did not appreciate this article. Great guide. Well written and informative. Thanks. Thanks Matt, appreciate the feedback. I’ve tried converting ePub book to Kindle but I got a message saying that the book could not be converted because of DMR. How do I bypass that? Nadine, depending on where you sourced the original ePub, DRM can be an issue. DRM is Digital Rights Management and there is no facility within Calibre to strip it off. If the ePub is legitimately yours you will need to find a utility that will remove DRM, if possible. I cannot advise on that however an Internet search will help to tell you what is available. Be careful on this though, Digital Rights exist for a reason so make sure you do indeed have the right to remove it from this book. Only a consideration: I’m sure you can find a way to strip the DRM off, but in never case you have the (legal) right to do so. So IMHO, like Stephen said, Kindle can’t read ePub, because it can not LEGALLY read the ePub with DRM. According to (http://arstechnica.com/software/news/2010/07/court-breaking-drm-for-a-fair-use-is-legal.ars) , breaking the DRM on an ePub book that you own rights to is not illegal. It’s part of the Digital Millenium Copyright Act (DCMA). If you have rights to the content and you make a second copy then the federal court says that’s ok. At no time should you be breaking DRM on illegally downloaded ebooks. It’s a good distinction Alex, thanks for raising the issue. As a Kindle owner, I was interested in this article to legally expand my library; thanks for the info! As a writer,I appreciate the two of you, Alex and techguy, for making the rights distinction. However, techguy, owning rights to content is NOT the same thing as owning a copy of a book. Breaking the DRM lock-out is illegal UNLESS you own the legal right to do so; Alex was right on the money, pun intended, on that one. You can’t copy a hardback book, and you change change a DRM-locked e-book format, simply because you own a copy. Making a back-up copy OF THE ORIGINAL ELECTRONIC FORMATTED content is a stipulated right. Under US copyright law, no rights are assumed. EVERY right–including format, including copying–must be specifically given. It’s the only law in the US Code that does not follow the legal mandate, “Silence is implied consent.” Changing formats is not a given right. Calibre does not contain DRM-avoidance software for a reason: It’s illegal. My question at this point is how do I determine if DRM is involved or not before I attempt to convert files? Journal d'une thèse d'histoire » Petites réflexions sur comment utiliser son livre électronique ?